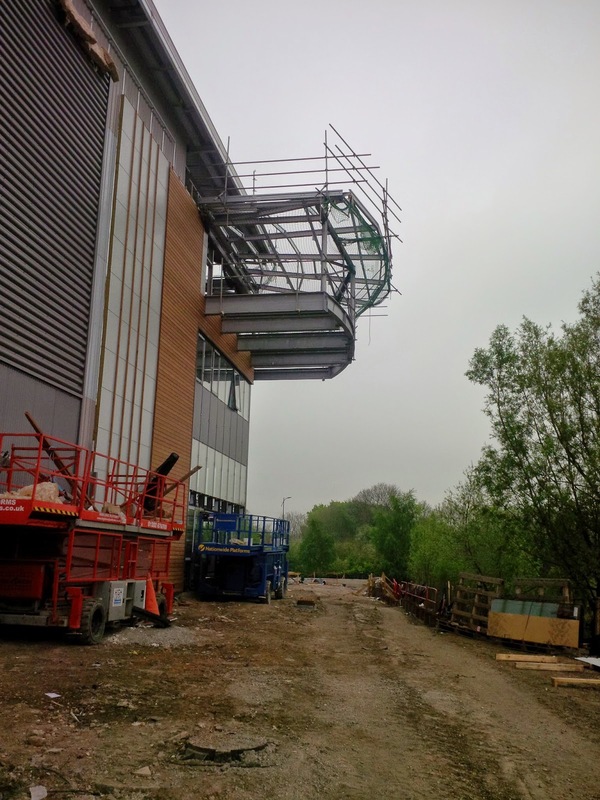 Works are progressing nicely at this 131,400 sq ft Dartford based development, which began back in late March of this year. Bespoke's work package at this unique fit-out involves the installation of Ecophon ceiling baffles, demountable glazed partitions, joinery, toilet and kitchen facilities as well as the laying of Balau decking on an exterior balcony showroom. 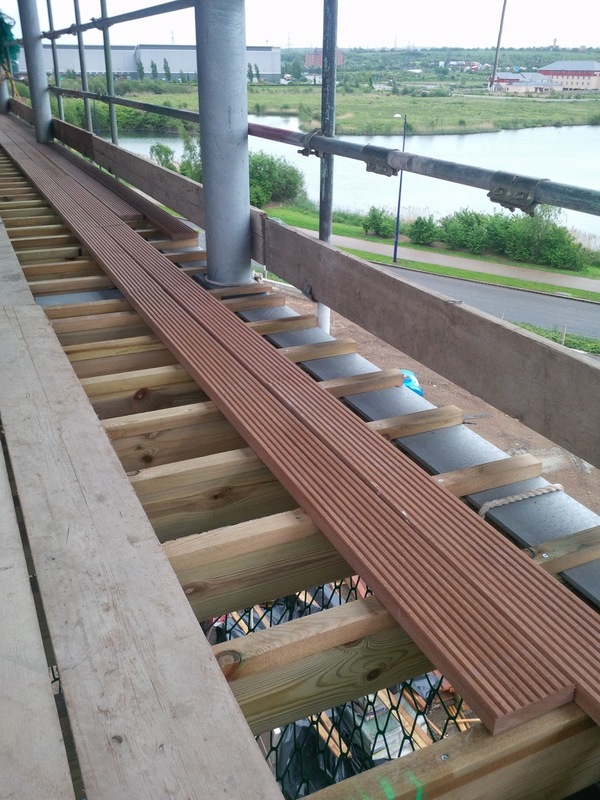 Our package will also include the installation of CNC MDF Fins which will create a three dimensional walk way in the main office area, replicating the Dartford Bridge. Site is situated within 'The Bridge', an integrated mixed-use development that comprises 1.8 million sq ft of employment space and 1500 new homes along with leisure, retail, education and community facilities. Once completed, it is to be used as the new headquarters for end-user Crosswater Holdings, a subsidiary of Bathroom Brands. 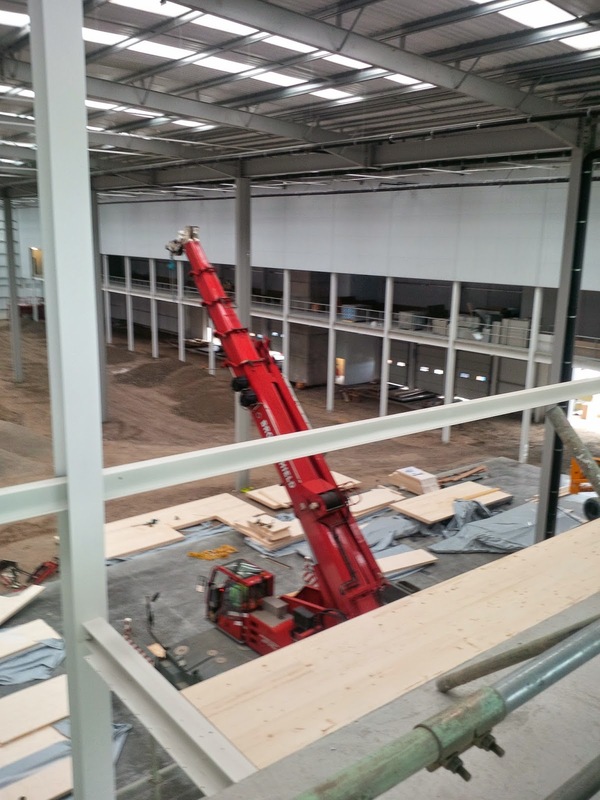 This new building will provide consolidated logistics, office and storage space as well as a trade showroom. Works are due to be completed in June. To read more about this project, please click here to read an article on the Prologis website.